Some extreme feelings are more than words. Although there are ways in which emotions can manifest and flow free into the living world. 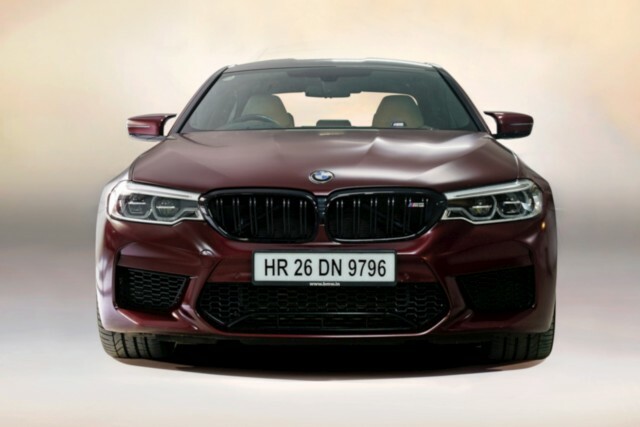 That said, the phrase “Joy is BMW” truly takes shape in the new F90-generation M5. Masterful it was always intended to be. Breathtaking, it is, truly. And that stands true for beholders as well. One look — especially at this Frozen Dark Red First Edition model — immediately identifies this one with its menacing style as a very special automotive creation. The sinewy lines and glaring face are enough to make 500-horse muscle cars sit down and stay put. There is black detailing on the kidney grille, the air ducts on the front quarter panel, the carbon-fibre double-bubble-type roof — which weighs half as much as the standard metal — and even a boot-lip spoiler. Quad exhaust-pipe headers announce its superior lineage. The 20-inch black alloy wheels on this First Edition were shod with almost equally thick 275/35 front and 285/35 rear rubber. Inside them are M carbon-ceramic brake discs identified by golden calipers. Overall, it looks aggressive and low-slung, accentuating its credentials. 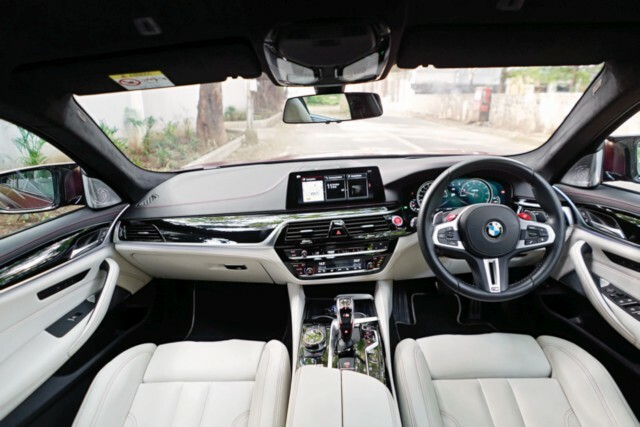 A magnificent interior, the cabin in the BMW M5 feels just as good, if not better than a 530d M Sport; and that one surprised with its spacious interior and choice appointments. There are, of course, more than a few M Division touches in the cabin of the M5. The soft-touch M Sport steering wheel is in here and there are the illuminated M logos on the door-sills and head-restraints. The alcantara headliner — there’s no sunroof thanks to the carbon unit — and trim elements lend a darker, sportier theme. Contrasting light-coloured ventilated leather seats offer multiple adjustments and offer up the opportunity for a perfect driving position to enjoy all the characteristics of the car. The driver console is all digital and full-colour and incorporates displays of analogue-styled dials and even has physical chromed circular guides on the screen. The centre screen shows every vehicle function and can be controlled by the iDrive, though it is also touch-enabled. 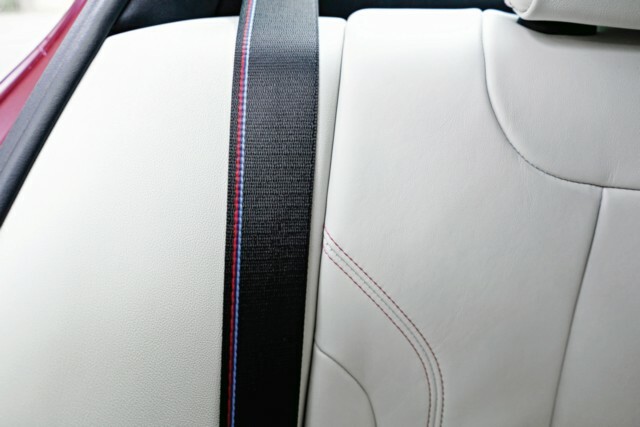 Lastly, the detail that stood out for me most was the integration of the M colours into each of the seat-belts. Brilliant stuff. Maximum practicality has been delivered in the new BMW M5. It isn’t easy to create a car that can handle up to five occupants and their luggage, glide over far from ideal surfaces, tear up a racetrack, and deliver a proper adrenaline rush in almost all conditions regardless of what outside elements subject it to. The M5 trumps every demand with aplomb. 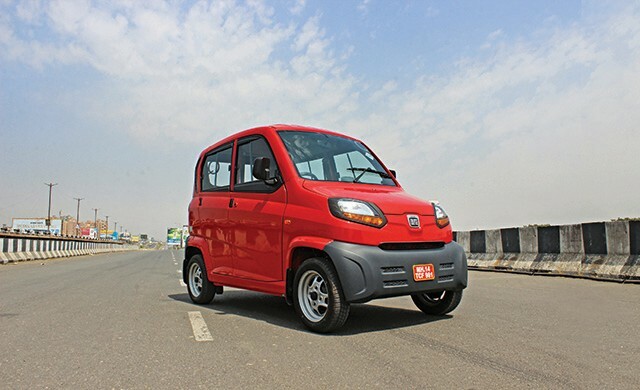 Be it an impeccable ride — even with those 20-inch and 35-profile tyres — that soaks up the bumps well or the evident change in steering-wheel feel when going through the modes; which I shall discuss in more detail soon. Seating comfort and occupant room are important factors, yes, but the boot volume of 530 litres adds to the flexibility, as does the power tailgate. 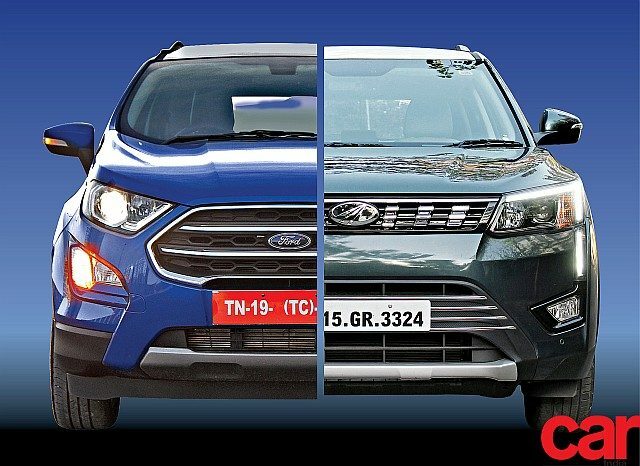 One aspect to note is the 132-mm ground clearance that’s okay for most sort of uses, even on unpaved roads, but some ungainly speed humps and potholes call for special attention. Practicality isn’t limited to space and the nature of equipment, it’s how the car can be managed in all situations. 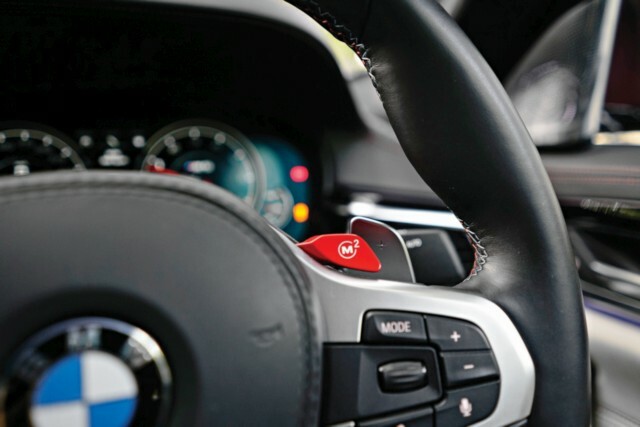 The drive modes in the BMW M5 aren’t just one collective mode as in the rest of the line-up — the steering, suspension, and engine have to be individually configured using Comfort/Efficient, Sport or Sport Plus. There are three levels of intensity for the gearbox as well. 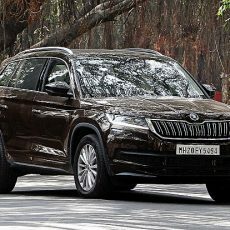 The M Dynamic Mode also opens up the driveline, allowing a choice of 4WD (M xDrive) which is standard, 4WD with M Dynamic Mode and the Dynamic Traction Control off, and proper 2WD (rear-wheel drive) mode for juvenile shenanigans. 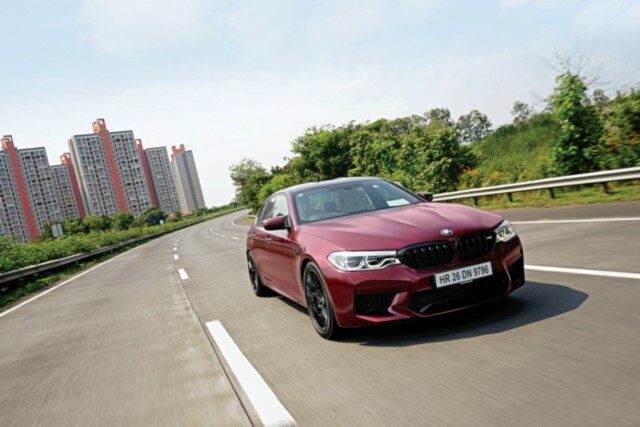 In Comfort/Efficient, the M5 is sober, the steering feel is light and gear shifts are smooth and quick with the engine note subtle and the rev-counter just over 1,000 rpm, doing about 45 km/h in fifth gear. The 4.4-litre twin-turbo V8 makes about 400 Nm at that engine speed. What it peaks at is a different matter altogether.